At some point in the next week or two I'll be visiting Massey at her studio to preview the collection in more detail but for now, lets just have a cheeky glance or two at her Tranoi rail. For SS11, Massey has built on the successes of recent seasons (SS110 in particular) while experimenting with a rich, season friendly colour palette. Many of the garments have an aged and lived in look which is something that I am drawn to. This of course stems from Massey's interest of handing down garments from generation to generation. These are clothes you and I will want to wear when the sun shines next year. Christopher Raeburn's collections are highlighted for their intelligent design, high quality and extreme attention to detail as SS11 will be no different. For the new season the young design talent has played with dashing camouflage and has been inspired by the great outdoors and adaptability. As each season passes I love this designer more and more. Utilising re-appropriated military fabrics, Raeburn creates garments that are functional, intelligent and meticulously crafted. Staunchly British, all Raeburn garments are proudly 'Remade in England' and produced in East London. In addition to covering a number of my favourite designers, Massey's coverage has introduced me to a new label in BOYOstudio. Patrick Waugh is an accomplished artist and art director who likes to create his own visionary play with photographs who has now turned his hand to t shirt design. For SS11, Waugh's very own BOYOstudio has collaborated with British owned underwear company Sunspel, creating BOYO project No4. Together they have selected a few pieces from Sunspel's Classics collection and each has been treated with a new original BOYOstudio print. 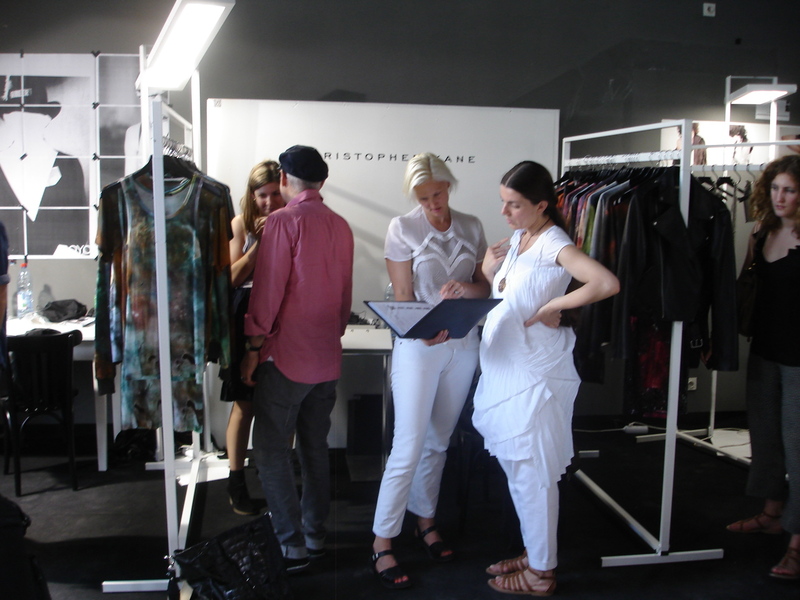 Christopher Kane was a special guest at Tranoi and his inclusion came as a complete surprise to this blogger. In addition to making women the world over go weak at the knees over his mainline designs with his embroidery and attention to detail, Kane has launched an amazingly successful t shirt line. 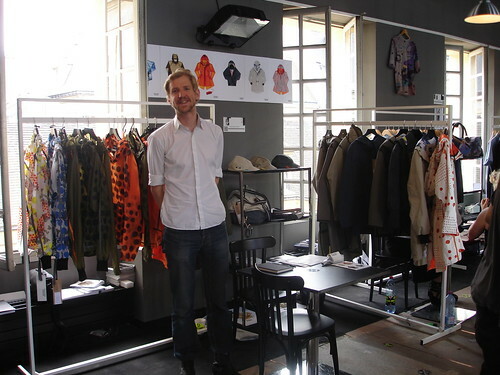 After the monkey print dress in his SS09 collection the demand was so high both from men and women and the collection has since outfitted many a fashion week attendee and more. 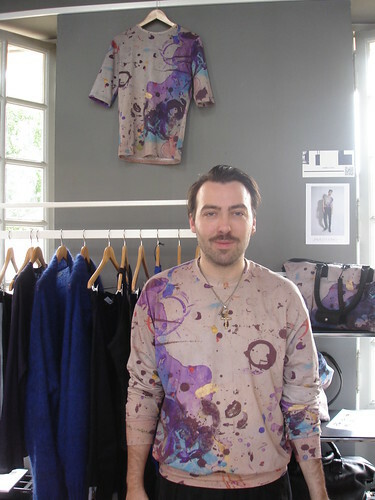 For SS11, Kane has added buttery soft leather jackets to his printed t shirts and shirts to expand his menswear offering. As with every Kashoura collection I am instantly drawn to his expert use of soft fabrics and the finishing details he applies to every garment. "Tranoi is happening! 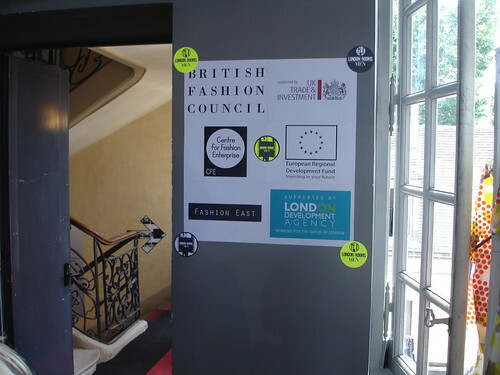 I think that the energy created collectively from the UK design talents present, and the amazing teams of people who are here and making it happen, from the BFC, CFE and Fashion East is exactly what the buyers are looking for. Were having a ball, and im already looking forward to next season...WHOOP!" 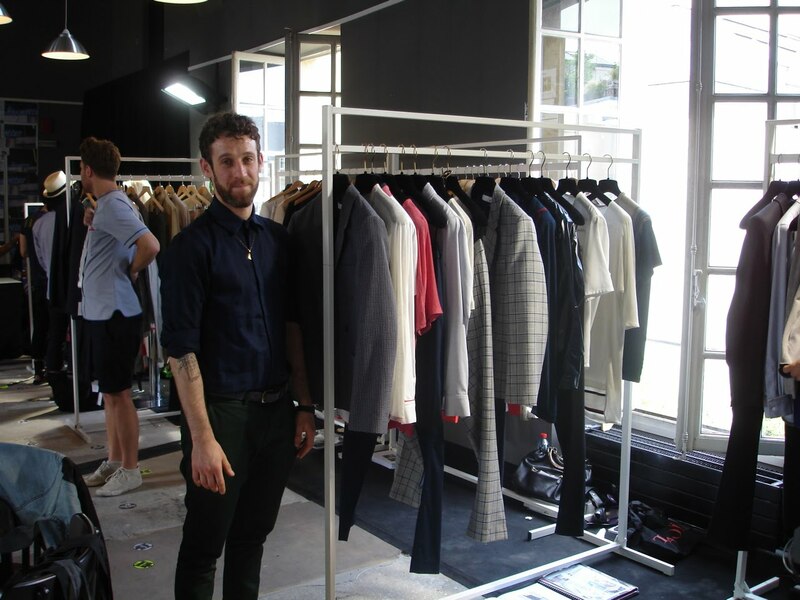 James Long wearing one of his SS11 creations. James Long's AW10 collection was one of the real highlights of the season. His strong, bold and directional menswear came of age last season. Long has a long-standing love affair with leather and their relationship blossomed over this winter collection. Mohair, matted fur and ribbed wool were played off against leather to create an update on classic men's outerwear. The juxtaposition of hard and soft continued throughout, including Longs' now trademark knits. looking over Long's shoulder here, I am dying to stroke his SS11 knitwear. Blaak's very own Aaron Sharif. Sachiko Okada and Aaron Sharif are the design duo who make up BLAAK. Both are graduates of London’s Central Saint Martins and they started the label in 1998 as a contemplation on the emotions around the colour black. Ever since the design duo have played, experimented and wowed through their juxtaposition of elements and silhouettes. Blaak have developed a style that is truly modern yet believable, a style that does not isolate but rather, enhances the wearer. 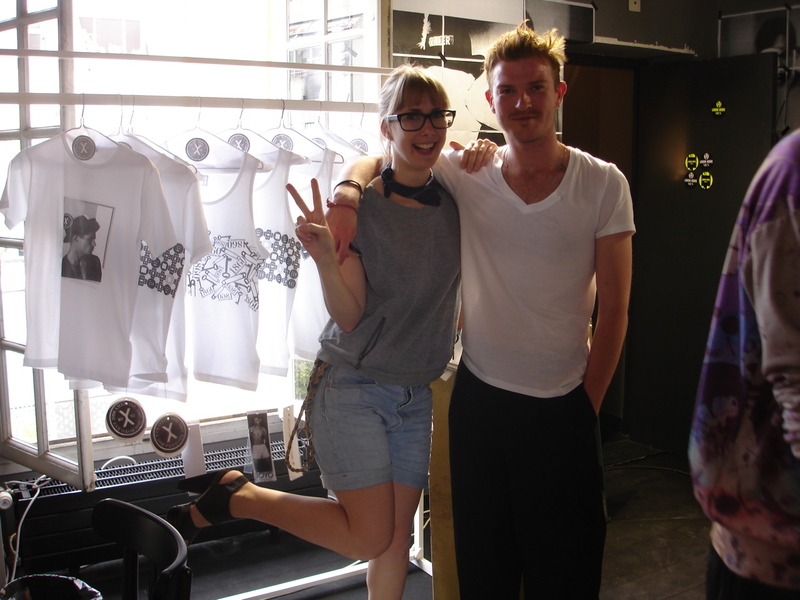 Fresh from the basement invasion at Start Boutique, Jeanette was invited to open a pop up venture at Tranoi. Whatever the location, Jeanette handpicks the very best treasures including both archive items and new season designs from the likes of James Long, Omar Kashoura and Husam El Odeh to name but a few. Oops, wrong movie, but it was certainly near to tropical heat. I think I should say that again. IT WAS HOT. Note to self, must design more shorts, diaphanous garments, lightweight smalls and possibly start a thong line. After two dreary English Summers I had laid on some heavier garments. Unfortunately, I could see people visibly wince as they fingered the dense cotton/merino cardigan stitch knits. So, its back to the drawing board on that one, then. It seems to me that there is nothing worse than a hangover in extreme heat. So, unusually, I didn't have too many - this is, I think, a first for me. The bi-yearly Paris trips are normally an opportunity/excuse (delete as appropriate) for a lot evening fun. 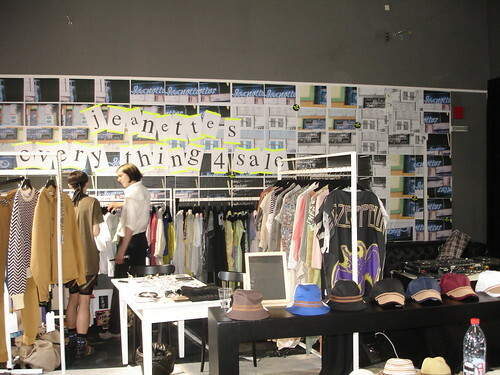 Perhaps the grown up nature of the Fashion East/CFE/BFC sponsored event brought out previously hidden sobriety. Although some of my fellow exhibitors gleefully suppressed any such tendencies. 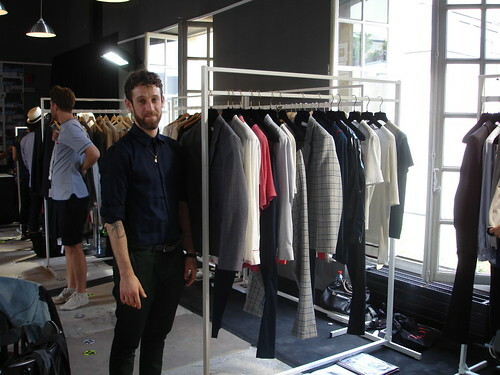 But, whichever way you cut it, the event was a very tangible indication of the growing clout of London Menswear. And it is great to feel that I, with these notable others, have contributed to this growing success." "Super excited that the BFC, CFE and Fashion East have collaborated this season to create the London Showrooms, selecting new and established Menswear and showcasing at Tranoi, Paris. We were lucky to have Tim Blanks hosting tea and cake from the Rose Bakery on the 1st day, which drew in an amazing crowd. Good to also have home support from Harvey Nichols, Asos, Matches, Sefton, Cruise, Start, Dover St Market and Harrods all popping in to see the collections. I was also lucky to attend the Esquire event, showcasing 7 UK talents, including the lovely Domingo Rodriguez... and its always nice to have a glass of champagne and a chinwag with Colin McDowell. 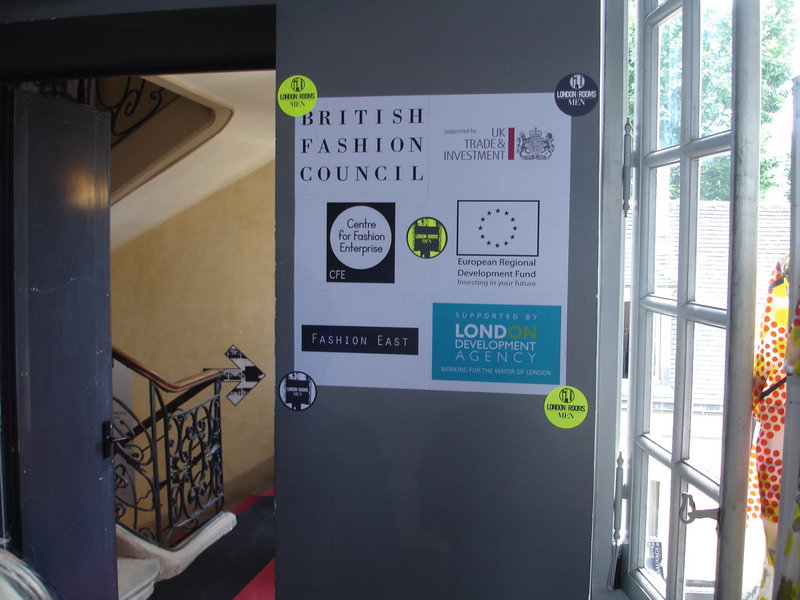 Thanks to Anna Orsini, Barbara Grispini, Antonio Fiengo, Katie Bain and all at the BFC, Lulu Kennedy, Rori Thompson at Fashion East, Barbara Wilson at UKTI, Wendy Malem, Judith Tolley and all at CFE for making such a strong event. Long may it continue." 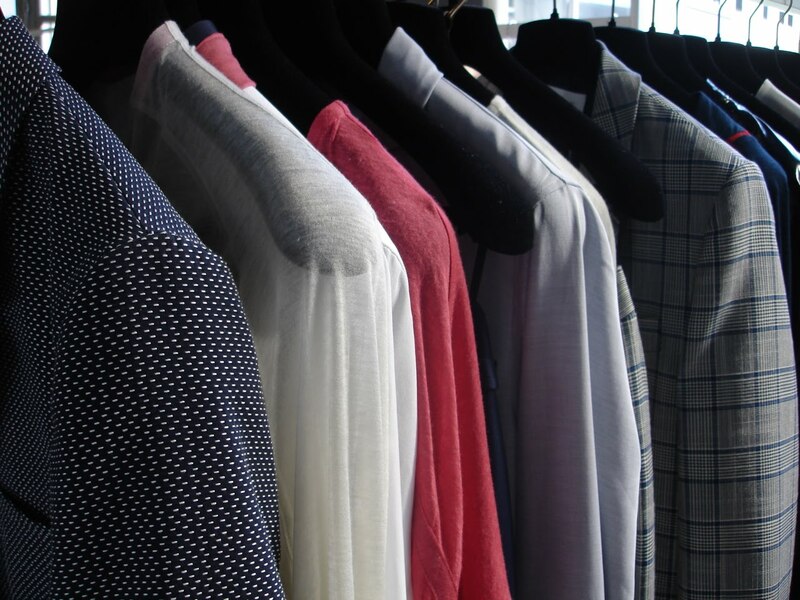 London is without doubt a brilliant and exciting place for menswear and it is so important that designers have a space to sell from during the main buying season. 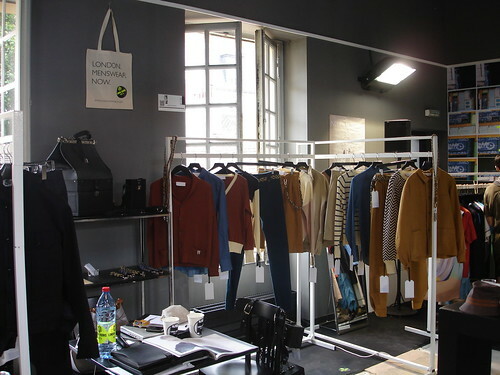 Thanks to Massey's intrepid reporting it is so exciting to see London menswear reign supreme over Paris. i really need to be in london guys, i'm sick of this northern non-menswear stuff. it's all happening about 300 miles away from me, 300 too far. 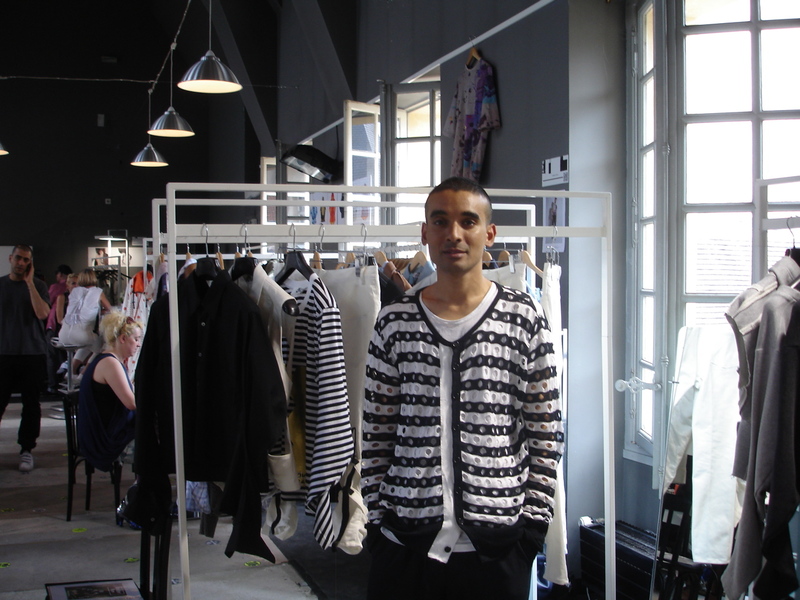 love this post and look foward to more, james long's knitwear looks brilliant doesn't it! Nice post. Such a coup getting Carolyn Massey to report for you.